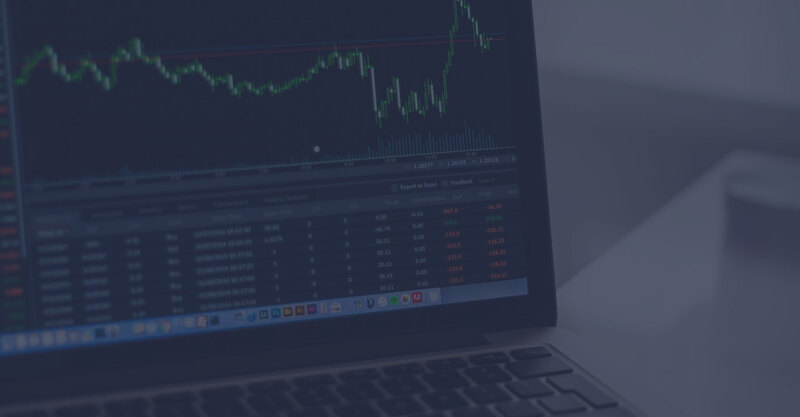 Decades of market experience, technical analysis study, and improved capabilities in some of today’s most popular trading platforms have led us to devise the Arps Trend Exhaustion Tools. These studies use sophisticated proprietary market analysis to indicate, with colored dots plotted above or below price bars in real time, trend exhaustion signals which can alert the savvy trader to high-probability entry and exit opportunities based on tradeable changes in the direction of the trend. Toolkit includes both charting and scanning indicators. Please click here for PDF documentation about this toolkit. 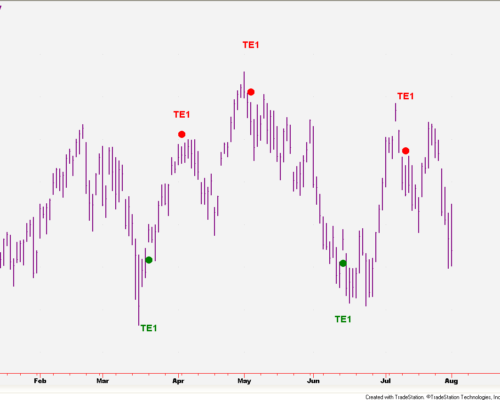 The TT5 Trend Exhaustion 3 tool takes a look at the market through the filter of several different concomitant proprietary analytical techniques, and plots its signals when enough of the indications agree on the likelihood that the current bar represents significant trend exhaustion. 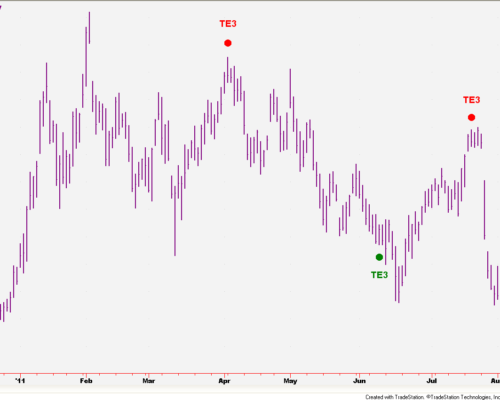 Unlike Trend Exhaustion 1 which looks at price movement, the TT5 Trend Exhaustion-2 ‘Show-Me’ study focuses its analytical eye on price patterns that are typically indications of impending price reversals. Successful traders are constantly looking for the opportune points of entry into the markets, and pullbacks in a trend often present ideal opportunities to get into a trade before it gains or regains too much momentum. 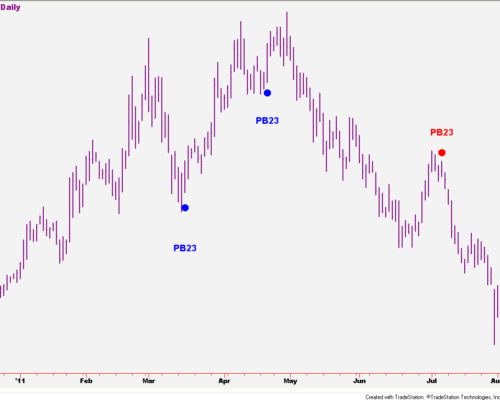 These are the opportunities the TT6 PULLBACK 23 is looking for. 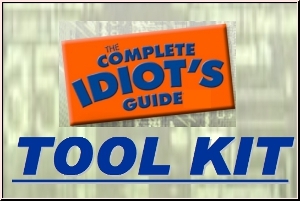 The CIG Technical Analysis Tool Kit includes 28 indicators, covering important technical analysis patterns and trading techniques as described in our new book, The Complete Idiot’s Guide to Technical Analysis. This study plots a straight-line linear regression centerline from the last significant high/low to the most recent bar. The trend channel boundaries are then drawn parallel to the median line and spaced apart at a distance controlled by one of several possible mathematical techniques. 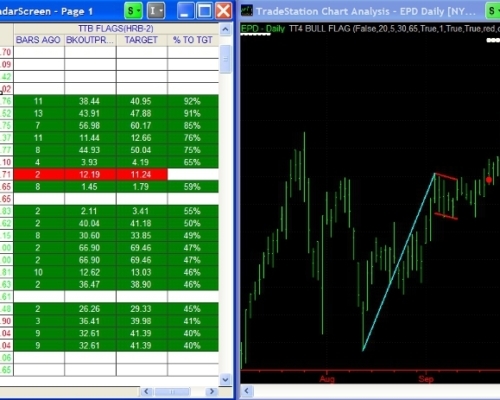 As presented in our October 13, 2010 Blog Post, Trading Flag Patterns the Easy Way, and recent webinars, the new Arps Flag Scanning (SCA) Tool Kit consists of three essential tools the trader needs to effectively locate Flag Patterns and trade Flag Pattern Breakouts. SCA stands for Scan, Chart, and Automate. The Arps Trender Pullback Scanning Tool is the scanning version of the Arps Trender Pullback study. In the charting format, the Arps Trender Pullback study will identify price bars that penetrate but do not close outside of the Arps Trender. 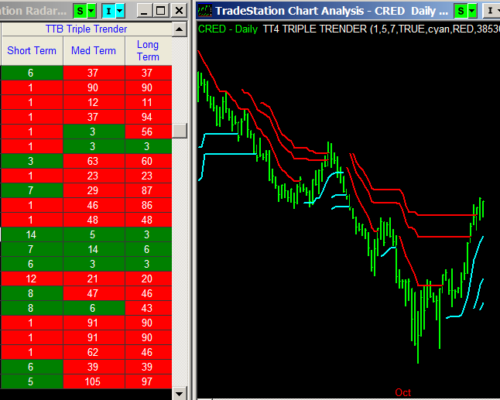 In the scanning version, color-coded cells display the number of bars since the last Trender Pullback signal, along with the direction of the established trend. It will also display how much the price has changed in the direction of the signal since the signal occurred. 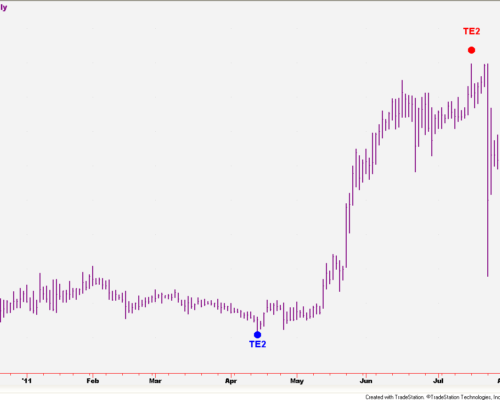 Please Note: This is a “standalone” scanning tool for those who already have the Trender Pullback charting version and either the Arps Trender or Triple Trender. Utilizing the powerful scanning capabilities of TradeStation’s RadarScreenTM platform, this set of tools enables you to efficiently scan your favorite list of stock and futures symbols for an important trend trading setup: a pullback in an established trend. This can be a very profitable signal, as frequently the bars immediately after a Pullback Signal will extend the existing longer-term trend, often duplicating the length of the prior trend move. 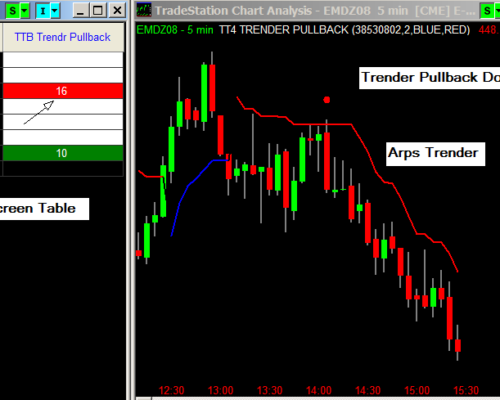 The Arps Trender Pullback Tool Set consists of a charting and a scanning version of the Arps Trender Pullback study. In the charting format, the Pullback study will identify price bars that penetrate but do not close outside of the Arps Trender. In the RadarScreen scanning version, color-coded cells display the number of bars since the last Pullback signal, along with the direction of the established trend. In the charting version, Pullback bars within a bearish trend are identified on the chart with a red dot plotted directly above the bar. 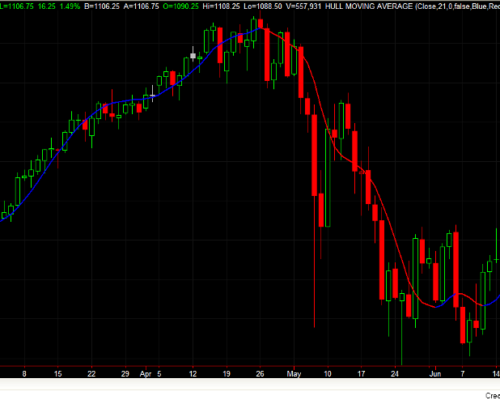 Pullbacks within a bullish trend are identified by a blue dot plotted below the bar. These pullbacks signals often represent excellent entry points anticipating continuation of an existing trend. To learn more, Click on the PDF document link below for a complete description of the tool set, along with examples of how to trade with it. Please Note: Neither the Arps Trender or Triple Trender are included in this set of tools nor are they required to run the Trender Pullback study. However, it is highly recommended that the Pullback tool be used in conjunction with the Arps Trender or Triple Trender to effectively view and analyze the Pullback signals. 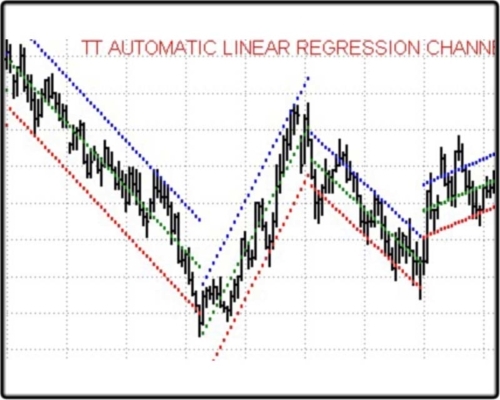 Designed specifically for traders who follow a large list of favorite stocks and futures, this tool combines the powerful scanning capabilities of TradeStation’s RadarScreenTM platform with one of our best trend indicators, the Triple TrenderTM. An ideal scanning filter, the Triple Trender gives you the power to “Trade with the Trend” along three different time frames: short-, medium-, and long-term. The Hull Moving Average solves the age old dilemma of making a moving average more responsive to current price activity whilst maintaining curve smoothness. In fact the HMA almost eliminates lag altogether and manages to improve smoothing at the same time.